A corner of forest in the Chàm Islands, 20km off the coast of Hội An City in Quảng Nam Province. QUẢNG NAM — The Centre of Biodiversity Conservation, GreenViet and the Management Board of Chàm Island has inked an Memorandum of Understanding (MoU) on the protection of flora and fauna in the forest of the island. The Management Board said the MoU will allow surveying of the current terrestrial plants and animals from next year, building a detailed database and a map of biodiversity of the forests on Chàm Islands – a world biosphere reserve recognised by UNESCO in 2009. The agreement also helps identify endangered species to protect in the future. 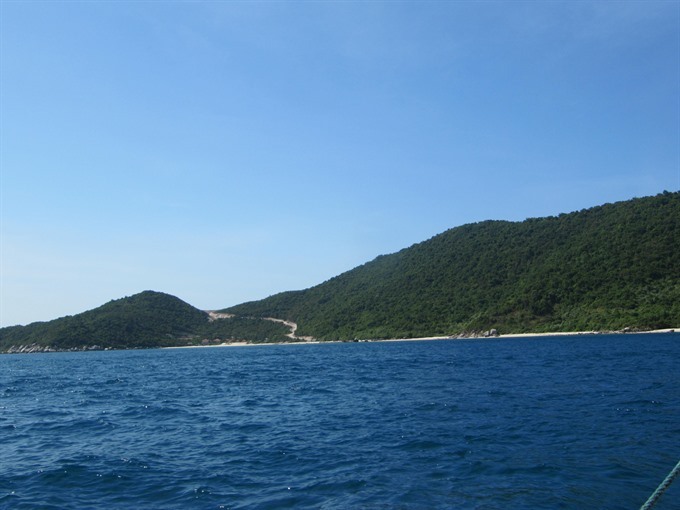 The Chàm Islands, 20km off the coast of Hội An City, is home to 1,500ha of tropical forests and 6,700ha of sea featuring a wide range of marine fauna and flora, including many endangered species such as salangane (swallows), the long-tailed monkey and the crab-eating macaque (Macaca fascicularis). The islands that are home to 1.26sq.km of coral reefs, has been the only location in Việt Nam promoting the non-use of plastic bags and the 3-R (reduce, reuse and recycle) programmes since 2011. The 3,000 inhabitants of the islands, which include eight islets with vast ecological diversity, hosts around 100,000 tourists annually, of which 10 per cent are foreigners. The site only offers home-stay services and environmentally friendly energy solutions including wind and solar power.